K-Prep – We are Ed. K-Prep is a new mobile app designed to help parents engage our littlest learners in home education and skills-building, by providing parents with activities and lessons to prepare their Pre-K aged children for kindergarten. The mobile app has 183 activities focused on Math, Language, Literacy and Science. K-Prep is designed to encourage improvement in four major development domains: gross motor, fine motor, cognitive and social-emotional functions. 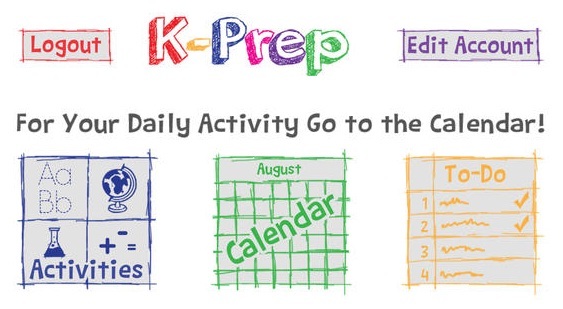 K-Prep has three different features: hands-on activities to encourage face-to-face interaction, a calendar with daily activities for a month, and a to-do list for guidance in registering and preparing students for Kindergarten. Download K-Prep in the Apple App Store today!